Vanilla extract is a common, fragrant flavoring regularly used in sweet items such as cakes, pies and cookies. More adventurous savory recipes with chicken or other game birds may also call for this aromatic extract. 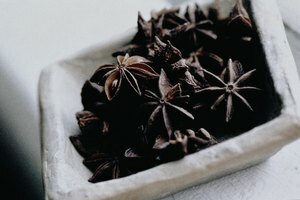 Whether it is store-bought or homemade, it may be necessary to mellow the taste of a particularly strong extract so the finished product is not imbalanced. Both master pastry chefs and amateur cooks can cut the taste of vanilla extract with a bit of careful measurement and patience. Dilute the flavor of alcohol-based vanilla extracts by stirring in small amounts of whatever alcohol was used (whether it be rum, bourbon or vodka) to steep the vanilla beans in. 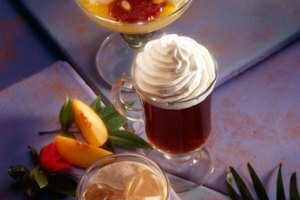 Although homemade and/or alcohol based extracts typically impart a higher quality of flavor to the finished dish, their concentrated flavor can easily overwhelm the other ingredients. Use only a fraction of the vanilla extract necessary for a recipe if you are using real as opposed to imitation vanilla extract (or vanillin). Reduce the addition of real vanilla extract by one third if the original recipe calls for imitation vanilla flavor as opposed to the real thing, which can easily overwhelm. This may apply to any recipe with a vanilla extract component, although individual tastes may determine this an unnecessary subtraction. Forgo using strong pure or imitation vanilla extract by substituting it with a lighter homemade vanilla sugar. Measure the total amount of white sugar you will need for a recipe and pour it in an airtight container without the lid. Place one whole vanilla bean into the container for every 1.5 cups of sugar. Allow the plain sugar to absorb the aromatics of the vanilla bean for at least one week before using in a recipe. Add a tiny amount of simple sugar syrup to vanilla extracts that are overpowering yet non-alcohol based. Simple syrup can either be homemade by reducing equal parts sugar and water over heat until completely combined, or purchased by the bottle in the baking aisle of a grocery store. Determine how strong you want the vanilla flavor to be in a sweet dish by using the simple syrup as a neutral carrier for the vanilla extract. Specific measurements will depend upon the original amount of vanilla extract called for in a recipe: substitute the extract for simple syrup and mix with dropper-fulls of extract. 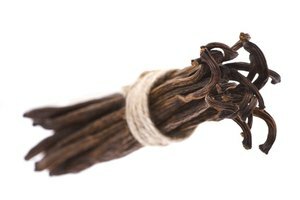 Achieve a happy medium between a robust real vanilla extract and the often artificial-tasting imitation variety by using relatively inexpensive Mexican vanilla. 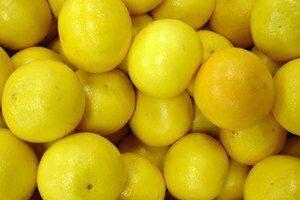 What Is a Replacement for Lemon Extract? 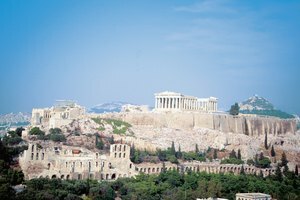 What Can Be Substituted for Ouzo?